While walking to the school bus yesterday, I came across a tiny, flowered branch that had fallen off of a tree. I wanted to preserve it. 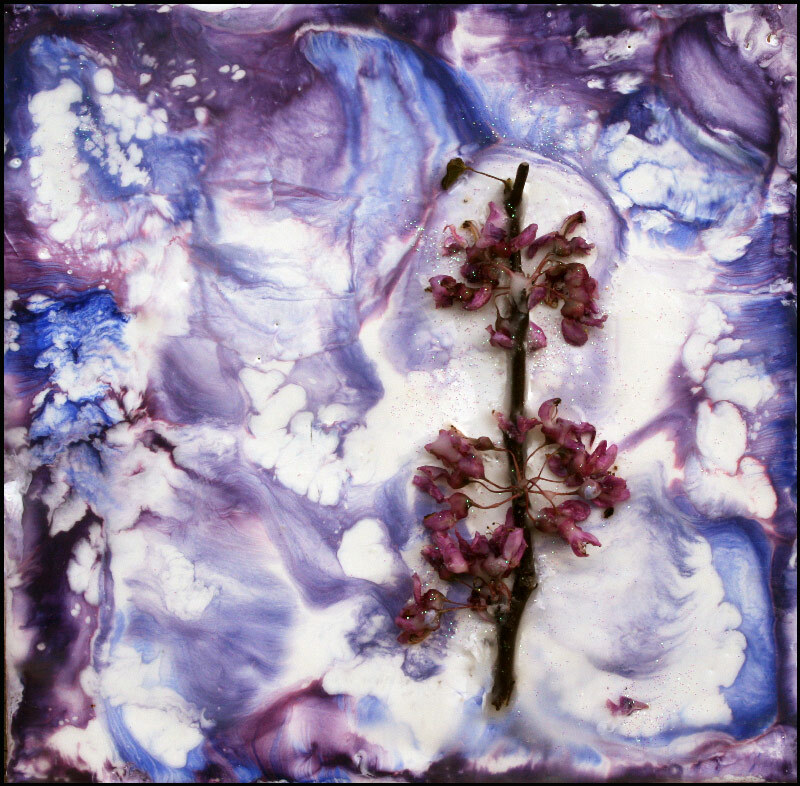 Immediately I began dreaming of ways to incorporate it into an encaustic piece. During studio time, it was the first thing I went to. I kept trying to get it in the position I had envisioned. It wasn't staying in the heated wax I'd applied, so I tried more beeswax. When that didn't work, I pulled out the super glue. When THAT didn't work, I went crazy with some odd mix of crazy-glue-and-wax goop. It took several hours to apply the wax and delicately scrape around the flower petals, to use the tweezers to place each bud where I wanted it, to make the surrounding colors flow in a pleasing pattern. I am very happy with the final piece. But, as always, it isn't the art piece that keeps strumming the chords of my awareness. To be honest, I have no idea how long those flower petals will stay like that. I don't know if, over time, they will succumb to the air, become brittle, brown, or simply crumble away. I tried to hold onto the beautiful piece of nature. I tried to hold onto my image of how I wanted the art to look. I tried to encapsulate it all, make it stay just as it was...as I wanted it to be. Such is not the nature of life, nor the life of nature. If this piece begins to change form, I will be ok with that. I will honor the true nature of what I have created...and what I have borrowed from nature's creation. I will practice not holding on. I invite you into the same practice. Are You A Well-Behaved Lady or a Wild Woman?